The reports also mentions that China has repeatedly told India to pull back its troops from Doklam. "It is hard to understand India's groundless 'China threat' theory," said a report in the state-run Global Times by Long Xingchun, a research fellow at The Charhar Institute and director of the Centre for Indian Studies at China West Normal University. "India probably just needs an enemy, even an imagined one. With multiple nationalities, religions and languages, plus intense internal conflicts and a strong centrifugal force pushing against national unity, India needs an external enemy as distraction," it said. "The previous arch-enemy Pakistan will no longer suffice as India grows into a big power. China, with large border areas in dispute and the memory of the 1962 war, naturally fills that place," the report said. The report questioned India's decision to send troops into Doklam, which China claims is its territory, leading to a dragging standoff between the two armies. China has repeatedly told India to pull back its troops. The report asked, "Is China really a strategic threat to India?" It said the Siliguri Corridor on India's northeast was on a plain rather than a plateau. "It only resembles a 'chicken's neck' on a map, rather than a 'neck' in a geographical or military sense." 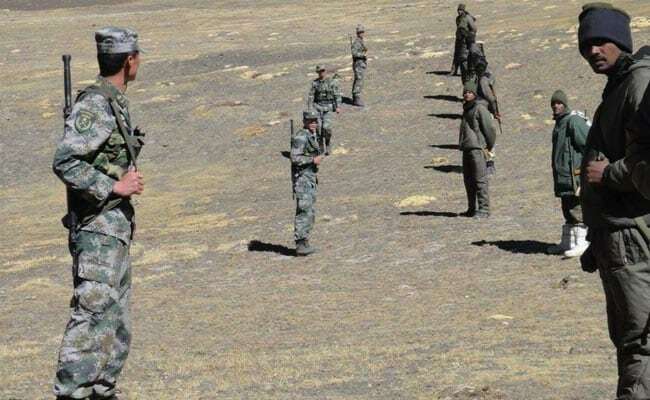 "Even if Chinese troops seize the 27-km wide corridor, this could in no way stop the movement of the Indian troops between the main bulk of Indian territory and its northeast. India knows this well enough and dwells on the 'chicken's neck' to find an excuse for its intrusion into Doklam." It said New Delhi was worried that if its dragging border talks with China fail, Beijing will take back the areas claimed by China and held by India by force. "China is naturally seen as a threat." Accusing India of seeing South Asia as its backyard, the report said, "Close ties between China and Pakistan are a threat in India's eyes although China maintains a neutral stance on the Kashmir conflict and encourages India and Pakistan to solve it in a peaceful manner." It said that while India worried about China's growing naval might, Sri Lanka, the Maldives, Seychelles and Mauritius do not see a threat from Beijing. The report said, "By preaching about the 'China threat', politicians gain votes, military officers gain budget, media gain circulation and scholars gain popularity..."
"Taking China as a threat and adopting hostile measures against China, if overdone, may turn China into a real threat, and Indian elites should be careful how far they go."